Enjoy a full hot breakfast and two complimentary drinks per room. Banquet and meeting space. In room coffee maker and microwave and refrigerator. Free local calls. Large indoor pool and whirlpool. Fitness center. 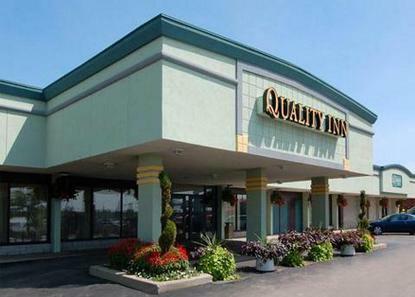 Complimentary high speed Internet in all rooms and on premises.Credit card required at check in. Mandatory safe warranty charge: 2.12 USD per room.